A measure of confidence among American men climbed to an almost 18-year high last week, widening the spread between men and women to the most since records began according to the Bloomberg Consumer Comfort Index. The last time American women were this miserable relative to American men was December 2006 - which coincided with the release of the Nintendo Wii in America?! 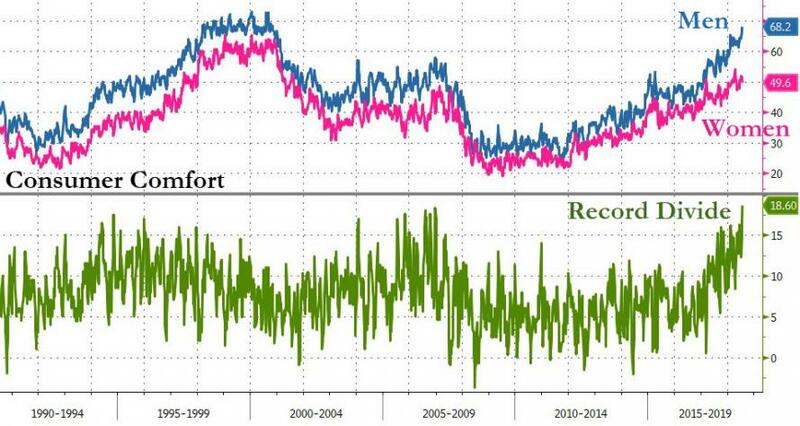 The only other time the male-female comfort divide was this wide was in Nov 1994 - coinciding with former US President Ronald Reagan announcing he had Alzheimer's disease. So with female unemployment at record lows, what could women possibly have to complain about? 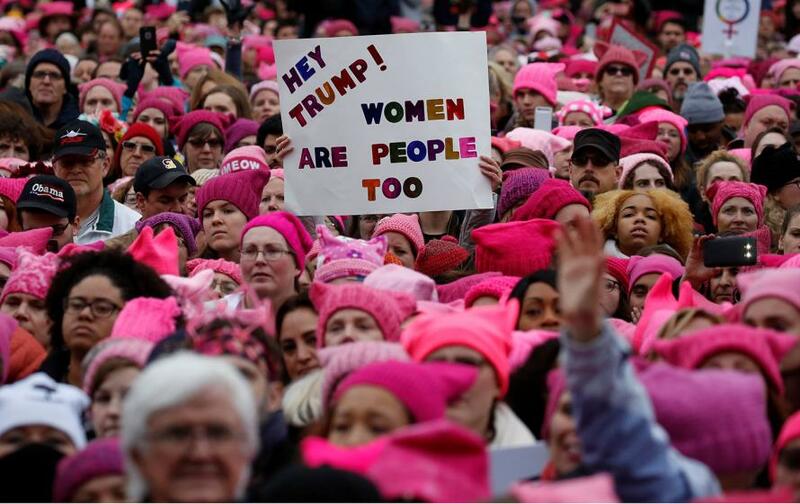 Bloomberg reports that underlying the gender gap are two factors: Women are more likely than men to be Democrats and less likely to have incomes exceeding $100,000. Republican affiliation and higher earnings correlate with higher comfort scores, according to the report.